Toronto, Sep 26 : Indian anti-corruption crusader Anna Hazare is the inaugural recipient of a new Canadian award that recognises individuals who fight abuse of power and suppression of human rights. The University of British Columbia (UBC) of Canada announced Wednesday that Hazare has been selected as the first recipient of the Allard Prize that was instituted last year by Peter Allard, an alumnus of UBC's law school. This prize for international integrity is awarded to an individual, movement or organisation that has demonstrated exceptional courage and leadership in combating corruption, especially through promoting transparency, accountability and the rule of law, according to a press release issued by the UBC. 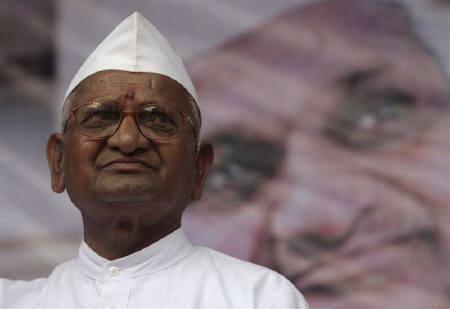 “Anna Hazare is an influential and renowned social and political activist from India,” the release stated.